. كما يقدم فندق ريدجز باراماتا الكثير من الخدمات لإغناء رحلتك في سيدني. يمكن الاستمتاع بمجموعة من الخدمات على أعلى المستويات في الفندق كمثل خدمة الغرف على مدار الساعة, واي فاي مجاني في جميع الغرف, مكتب الاستقبال على مدار الساعة, مرافق مخصصة لذوي الاحتياجات الخاصة, تسجيل وصول/خروج سريع. في الفندق غرف نوم يتجاوز عددها 151، كلها مجهزة بعناية وجمال وبعضها مزود بـ اتصال لاسلكي بشبكة الإنترنت (مجاني), غرف لغير المدخنين, مكيف هواء, مكتب, ميني بار. سواء كنت من محبي الرياضة أو كنت تتطلع لتفريغ عناء نهار صعب، ستجد خدمات ذات مستوى عالي بانتظارك كمثل مركز للياقة البدنية, ساونا, مسار جولف - ضمن 3 كم, حمام سباحة داخلي, سبا. يشكل فندق ريدجز باراماتا بخدماته الراقية وموقعه الممتاز، قاعدة مثالية للاستمتاع بإقامتك في سيدني. إذا لم يتمكن النزيل من تقديم البطاقة الائتمانية، فسيتم دفع المبلغ التأميني ببطاقة خصم أو نقدًا. Quiet location with car park access. 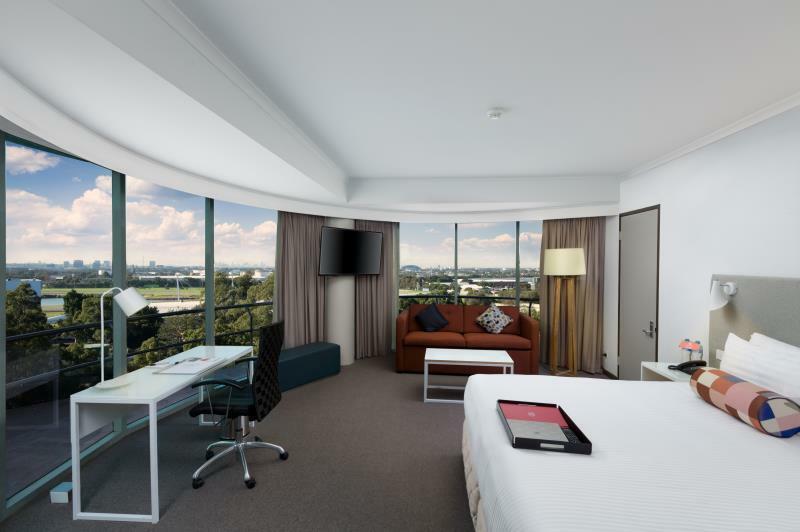 Hotel is 5 mins drive away from Parramatta central. Hotel is clean, spacious and comfortable. Baby coy provided was clean and comfy. Staff were friendly and helpful. Highly recommended. Room door wouldn’t shut properly, unless you pulled quite hard, remote wouldn’t work to tv, Key to room wouldn’t scan had to go back to have it reset, food at breakfast was nice until my so. Got a so called fresh apple that was rotten on the inside, the service downstairs at the bistro was disgusting and food garlic bread was hard as a rock and no dressing in sauce. We asked for an early check in (which they kindly offered at no charge) When we arrived at the designated time we were told that the room was not ready yet and we would have to wait another 20 mins or so. Thirty mins (plus) later we were allowed entry. We had stayed there for Xmas 2 years ago and the "Superior" room was brilliant, but this year our similarly rated room seemed much smaller and as it was a room for the disabled we expected the shower area to be spacious to allow save movement. However, instead it was very cramped and made showering quite uncomfortable. Beds were brilliant, but overall not a 4 Star +package. Next year will be happy to pay the extra $$'s to stay in the city and probably not under a Rydges' label. Had a magnificient stay. Quiet room with all amenities including fridge and kettle. even fold out couch. Impressed by the gym, sauna and swimming pool. 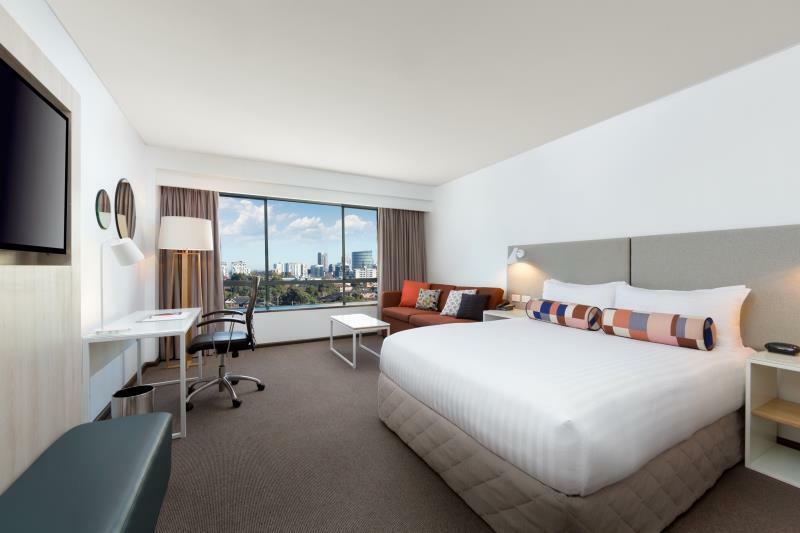 Only 20 minute walk to Parramatta station or local bus which take 5 minutes just outside the hotel. Beautiful breakfast with EVERYTHING. Very impressed, especially by the standards. Great WIFI, TV channels. Plenty of free parking on site. Would definetly recommend. Thank you to all the staff at Rydges. The hotel should make sure the quilt and mattess are dry and clean.the room I stayed was king bed room, the bathroom was so small and my little one and me were woke up by intching skin.and also the honeymalon for the breakfast were smelly and tasted bad.I think they stayed in the fridge for a few days and went bad. The hotel should make more effort to keep a four star hotel level. 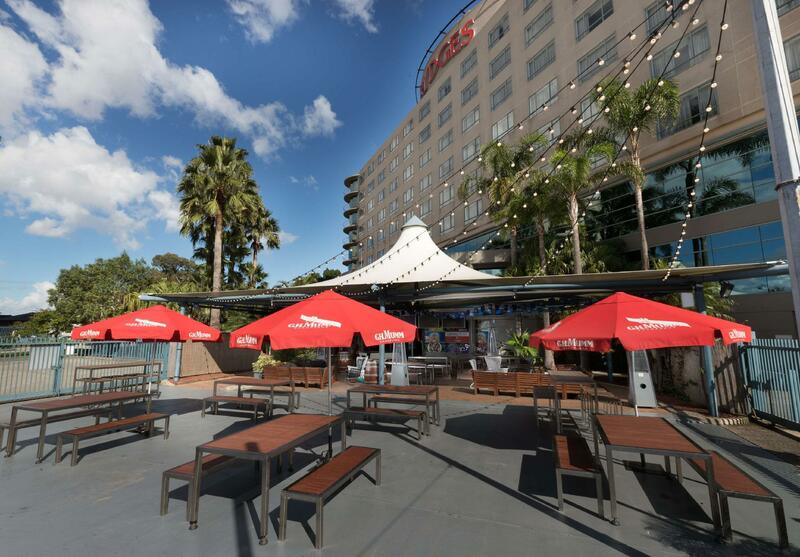 Had a fantastic experience with the team at the Rydges Parramatta. Family booking, changes to plans were accommodated, staff went out of their way to ensure we could get to and from the Easter show with as little hassle as possible. 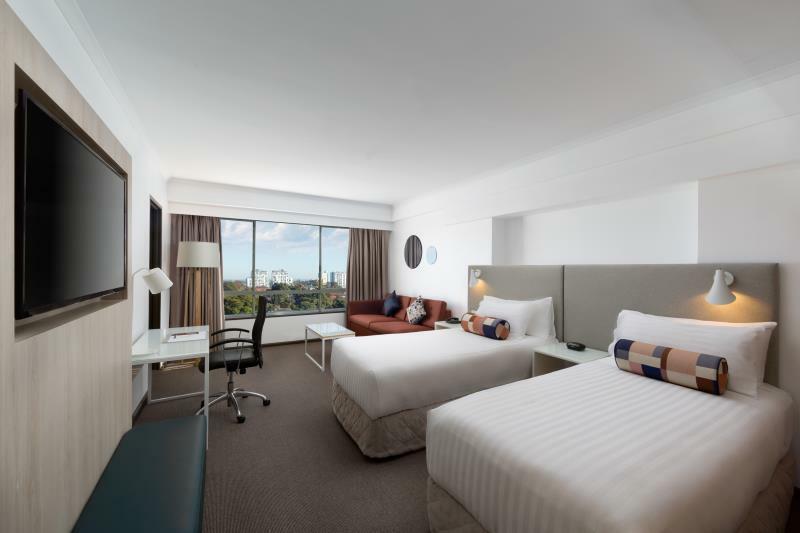 Have to say I could not fault my stay and recommend the Rydges to anyone looking to stay in Sydney. 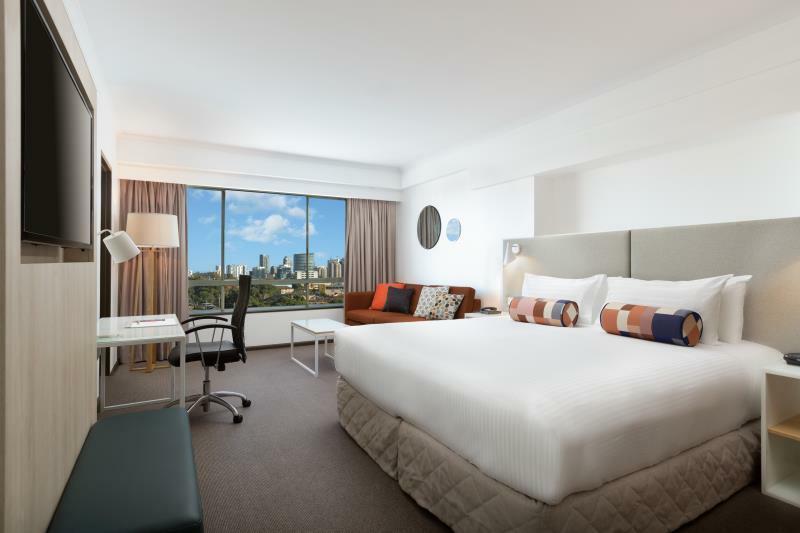 When I travel to Sydney, this Accom is definitely one of my favourites. Everything is awesome. Great secure parking and a walk away from Woolworths, kfc, Mcds + hooters. Overall good experience, clean room and great facilities, though pillows were a bit too soft and malleable so not a comfortable sleep for me personally and very low water pressure in the shower. Other than that, not a bad stay. Staff very helpful. Easy to find and easy access. Plenty of parking. Breakfast was average plus. I stayed here two nights with family and our two rooms were large with a good size bathrooms and was kept clean. We stayed on the 6th floor that had a nice view and was peaceful. The Queen sized bed was very comfortable. Pool was good, but Spa was out of order. Free parking and Free WiFi available.